Now you can remove Audio from video on any device using the simple tool that is there for all the platform and you can freely access it, So have a look at complete guide discussed below to proceed. Videos are the combined form of moving images and the audio embedded aside to the particular frames. In combined form, the video is the way to entertainment and the real joy full of emotions is spluttered out from the single media file. Now the thing is that not always the users require to play and watch the videos while they also require some time to get some parts out of the video for specific purposes. They might require the part of the video, only the frames of the video without the audio or just the audio alone for some projects. There is a number of video editing software that the users could use for availing the function to grasp out the video parts, audio or just edit the video. But now if only those users are considered which all need to remove the audio alone from the video and do nothing else, they would not get a quick benefit out from the video editors. For the users seeking the easy method to remove the audio from the video quickly, we have written this article where we have just described all of the information related to the same. If anyone among you is interested to know about this method, they could go and read this whole post until the end! 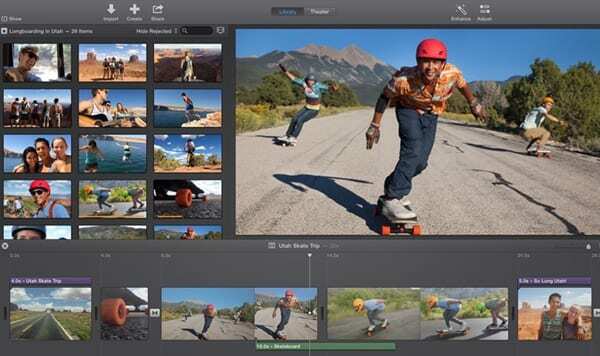 For the process of removing the audio from the video on the Mac os you have to download and install the iMovie application which is the video editor. This small video editor has great capabilities and for this method, it would be enough so as to retrieve the actions. Import the video to this simple video editor and then place it on the timeline. Right click on the video inside the timeline and choose the Detach Video option from there. The audio section will be split, just click on it and press the delete button. Finally, save or export the video project by pressing the Command+ E keys. First of all, install the Timbre app from the play store and then open it up. Inside the app scroll down to look for the option Mute, just click on it. You would skip to the Gallery on your device where you would be able to select the video for the editing. Click on the video you selected and it would be imported into the app, here you have to click on the mute button so as to remove the audio. Grant the permission to the popup and then just hit the save button. The video would be saved in your gallery app so that you could view it later on, it would be without the audio! 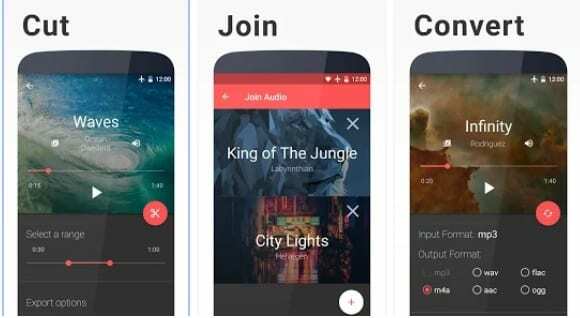 Install the app named Video Mute on your iOS device, and there inside the app select the video from the whole of the media content shown from your device. Set the audio level for the video to zero or nil through the slider and then hit the export button on the top of the preview. After processing you could save the video to your device and hence load it later on! On Windows, we would be using the most popular video media player VLC for the audio removing process. Simply launch the VLC media player, go to Media option from the menu bar, Click on Convert/Save option through the list that appears. Using the Add button adds the media or the video file you wish to remove the audio. Click on the Convert/Save button on the panel and then on the next panel Click on the Tools aside to the Convert section near the drop-down field. Now select the Audio Codec section and then uncheck the Audio subheading. Save the settings and while you return to the previous page fill the destination for the file and then Click on the Start button. The video file will be converted and saved to the selected destination. Step 1. First of all, visit this link and download the latest version of Wondershare Filmora. If you are using Windows, then download the Windows installation file. Step 2. 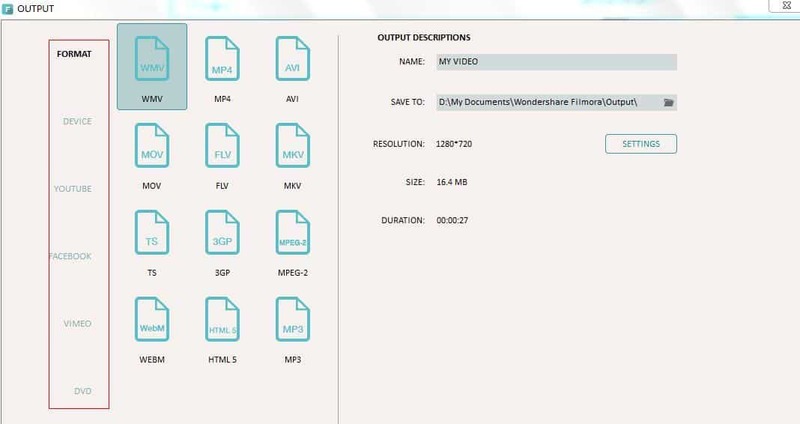 Once installed, launch Wondershare Filmora on your computer and there you need to import the video from which you want to remove the audio. Step 3. 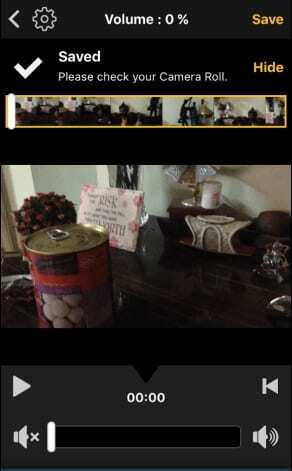 Once imported, you need right click on the video file as shown on the image below. 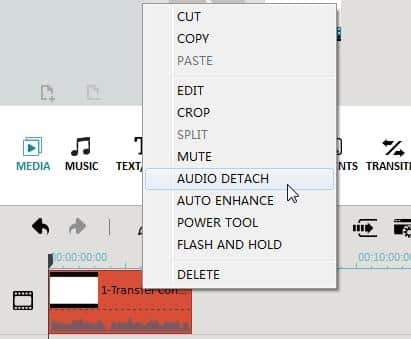 Select the Audio Detach from the right-click menu. Step 4. Now you need to double click in the Video timeline and click on ‘Create’ to explore the video track. Now choose the output format and done. That’s it, you are done! 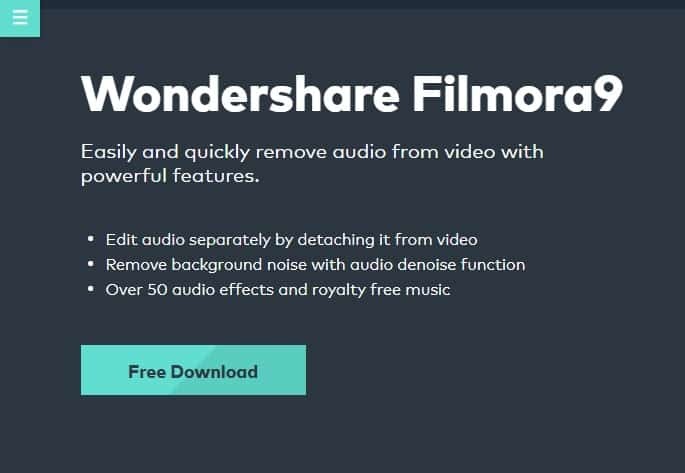 This is how you can use Wondershare Filmora to remove audio from any video on the desktop operating system. Well, there are several websites online which allow you to remove audio from the video without the need for re-encoding. 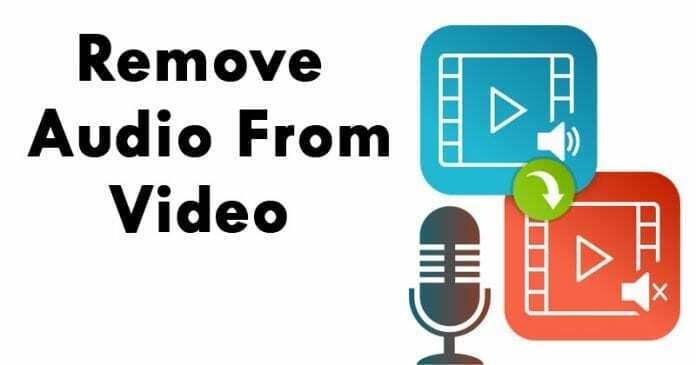 Below we are going to list down two best websites which will help you to remove Audio from any video. 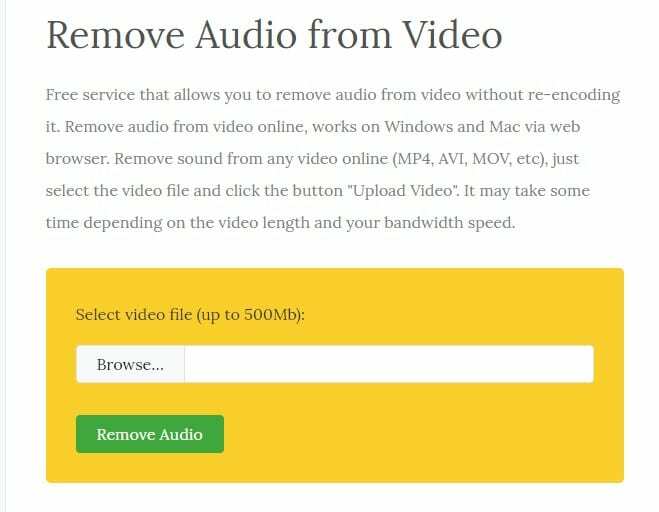 This is one of the best website available out there which allows users to remove audio from video without re-encoding it. This web-based interface works on Windows and Mac and the best thing is that the site can be accessed via web browser. You just need to upload the video and it will automatically remove the audio from it. Click on ‘Ok’ to confirm the configuration and then finally click on Convert. That’s it! 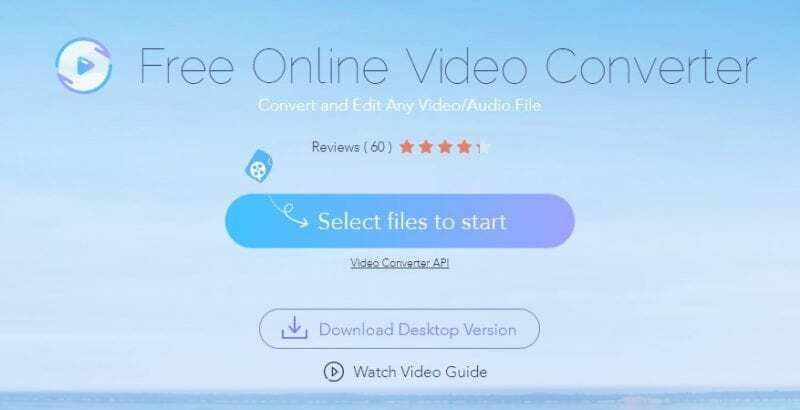 You are done, this is how you can use Apowersoft Free online video converter to remove audio from your videos. Audio and Video combined could be a great experience while for some of the reasons the users might not want the audio inside the video or just audio is required from the certain video, at that time the above-stated method of removing audio from video is helpful. As you have got that the method is really easy to be applied so it could be easier for any beginner to grasp the benefits out of this method and hence complete the related tasks. We hope that you would like this article and the whole information provided here in this article, if it is so then please do like up this article. Also, share this article with as many people as you could so that the others would also gain the knowledge about the information insisted here. We would appreciate if you shall comment on your opinions and the suggestions regarding this post and the method, please use the comments section for the same!